Two-Factor authentication provides enhanced security for your account and only allows the person who has the authentication token access in addition to your username & password. From Security Setting section you can manage your account security setting “Security Question / Enable or disable Two-Factor Authentication. To Enable Two-Factor authentication for your account, just click Enable. 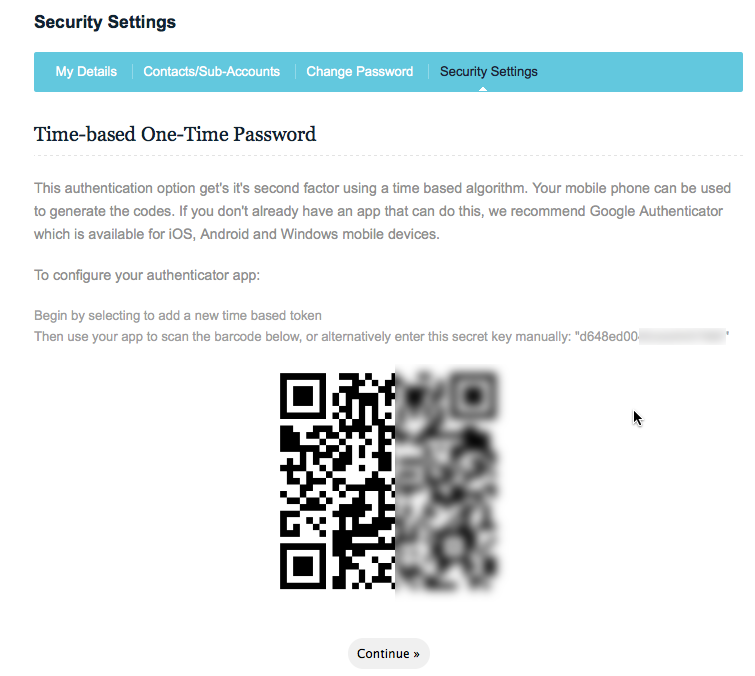 This authentication option get’s it’s second factor using a time based algorithm. Your mobile phone can be used to generate the codes. If you don’t already have an app that can do this, we recommend Google Authenticator which is available for iOS, Android and Windows mobile devices. iOS & Android Authentication: Your code will be delivered via an application on iOS or Android (recommended). • Download the Google Authenticator application for your iOS device or Android device. • Using the Google Authenticator application, click on ‘Set up new account’. • Scan the barcode you are presented with in the Wholesale System. • Enter the code that is generated by the Google Authenticator application to verify it is working as intended. In order to use Yubikey as two-factor you need to have the Yubikey USB,.